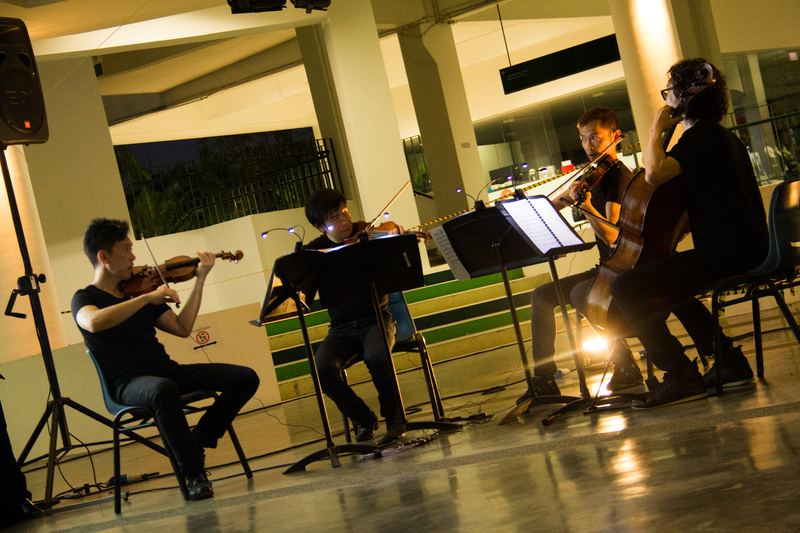 The final, haunting notes played by the RI Chamber Ensemble lingered in the cool night air, drawing rapturous applause from a captivated audience. 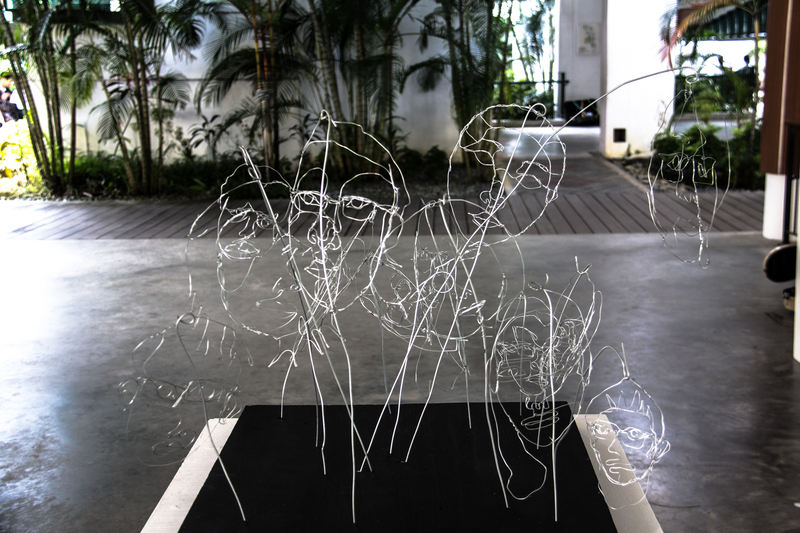 It signaled the end to the opening ceremony of the Raffles’ Arts season, drawing the night to a close. Contented guests, which included teachers and students from neighbouring schools, stayed a while for a short chat, or to appreciate the artworks for a moment more. 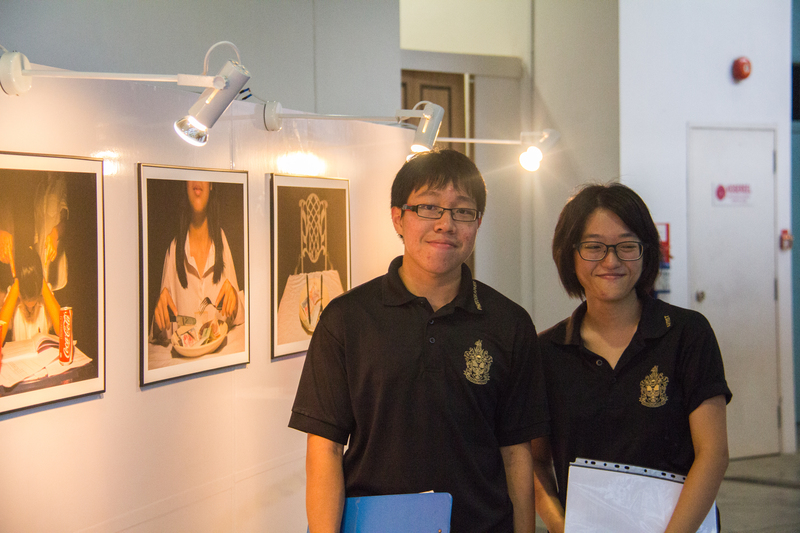 The Raffles Arts Season 2013 thus opened on a resoundingly high note. Based on the theme ‘Music, Movies & Magic’, the Chamber Ensemble and their mentors from the T’ang Quartet presented a total of five playful pieces with five different silent films serving as a backdrop, enthralling the audience with their performance. The highlight of the opening ceremony was no doubt the performance by the internationally reknown T’ang Quartet. For the past 20 years, these four Singaporean musicians have honed their craft performing to both local and foreign audiences, garnering numerous national and international accolades and it was certainly a privilege to have them perform a work by a French composer that in keeping with the evening’s theme was written specifically as accompaniment to a silent film. The Chamber Ensemble certainly played their part in the evening’s proceedings , performing four new works written by students of composition at the School of the Arts (SOTA). 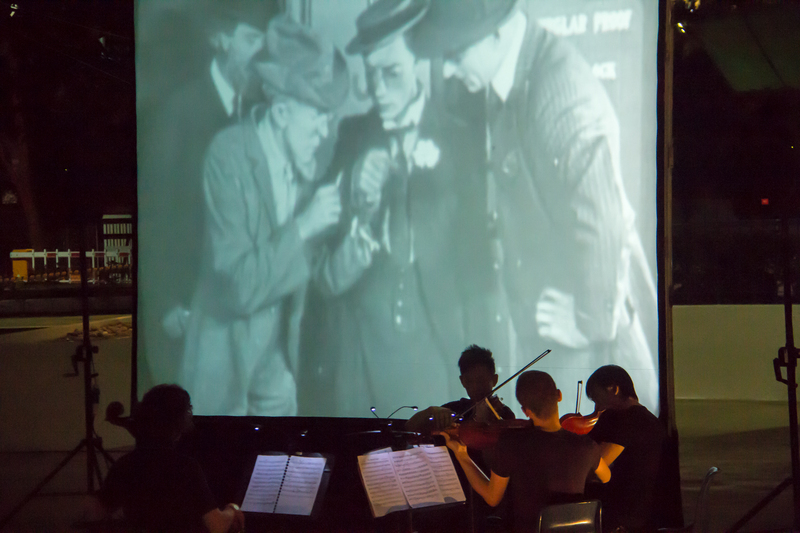 Lending a nostalgic backdrop to the evening were the five silent films, each dating from the early 1900s, that effectively inspired and complemented the music. Similar high-calibre performances will be held in the next two weeks. You also may have noticed exhibitions going up in the A and B Blocks as well as by the canteen. Or maybe watched the film society’s screening of new films produced by Year Fives. Or perhaps heard Raffles Rock practicing. All these are testament to the variety and the riches in this year’s art season. 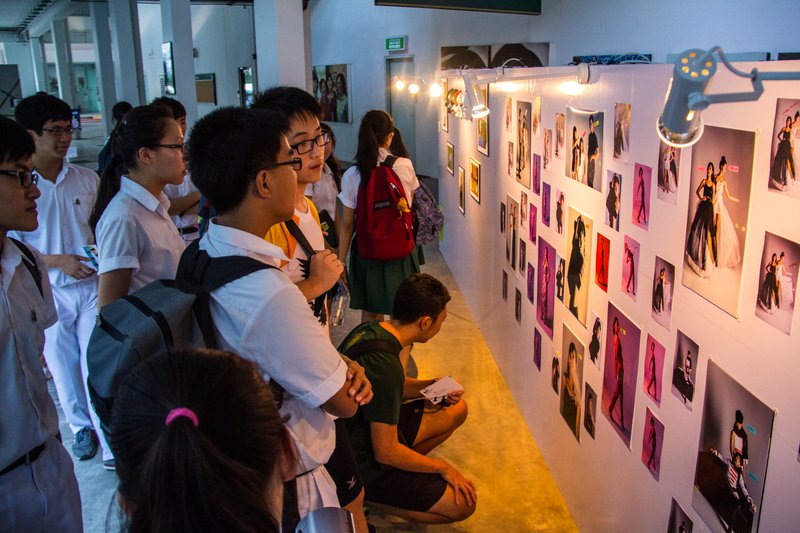 The Arts in Raffles Institution have truly been given a new breath of life this year, with the creation of the very first Arts Season as a formal showcase for the Arts and Aesthetics groups in the school. 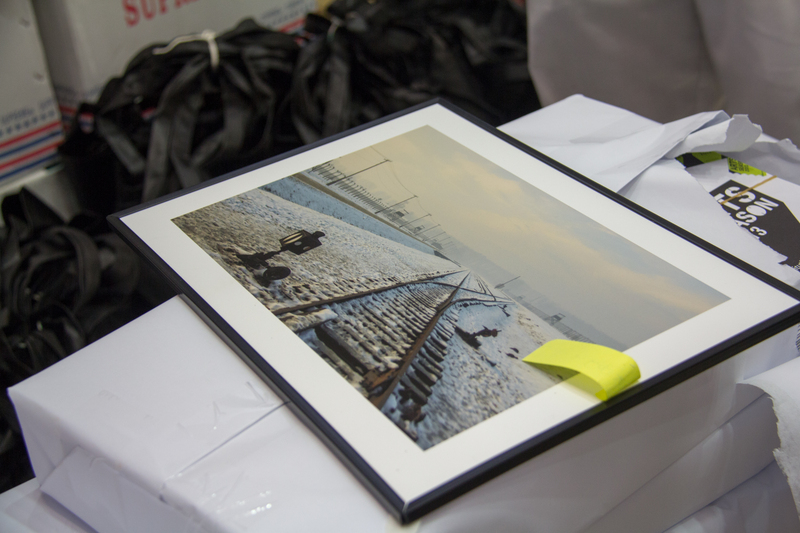 The creativity and vigour of our school’s artists is evident in the painstaking mounted photos and the carefully crafted art pieces on show, brought to you by the Raffles Photographic Society and Art Club in a combined exhibition, The Human Condition. The exhibitions are rarely simply what they seem to be. Though they may not be as accesible to some as music or dance, these still works of art are able to contain a deeper sense of emotion and significance and plenty of food for thought. Head curators Edwin Chow, left, and Kendra Xu, right. Let’s not forget the performing arts, which have been busy rehearsing for their own annual concerts. In these two weeks we will see the school packed full of performances, with activities ranging from the ever popular Raffles Street Dance’s concert titled Anybody Can Dance to Lady Windermere’s Fan by Oscar Wilde, a production by Raffles Players. The final word on tonight? Given the extraordinary talent on show don’t wait but take this opportunity to immerse yourself in the Arts over the next fortnight. 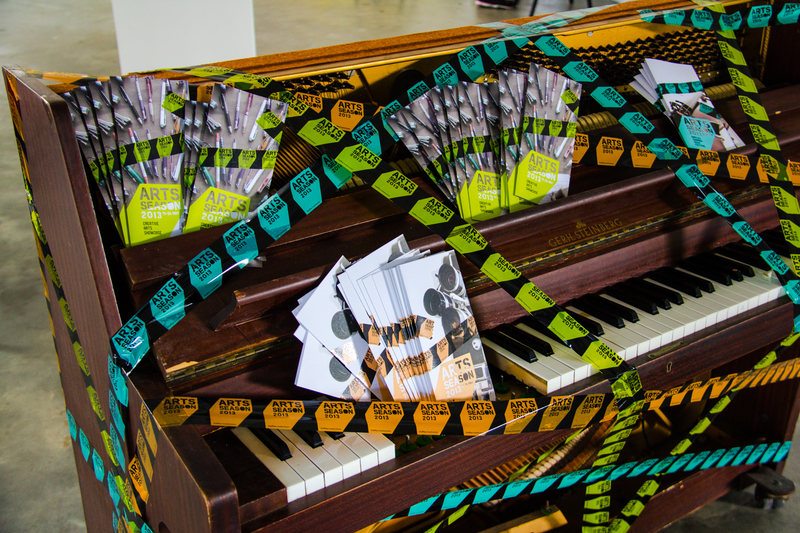 Information brochures have been put around school on or in musical instruments and their cases wrapped in Arts Season 2013 tape. Events and relevant details are listed on them. 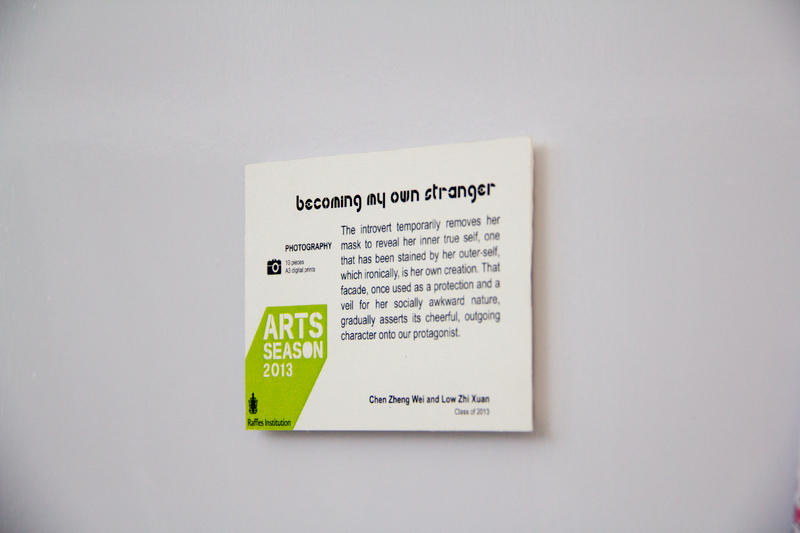 Do pick one up to find out more about the events taking place during Arts Season.